... the app for losing weight. 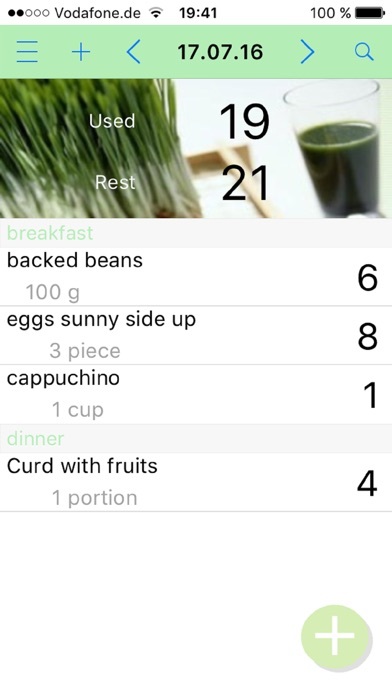 Includes diary, food list, activity list, weight table and a smart point calculator. The daily allowed points are calculated on the basis of the user data. SmartWatchers diary works without Internet connection, all data is stored directly on the device. There is no advertising and no in app purchases. 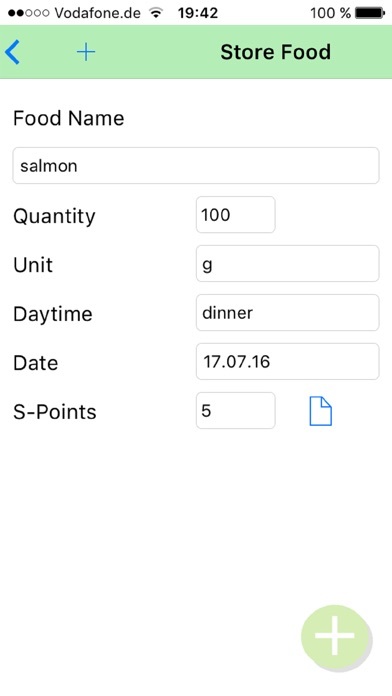 Diary: Stores the daily list of eaten meals and calculates spent points and shows how many are still available that day. Steps and other activities can be added. The additional points available are used as required. Food List: Contains the first some basic food. Every food used is stored in the diary and also in the food list and must therefore only be entered once. 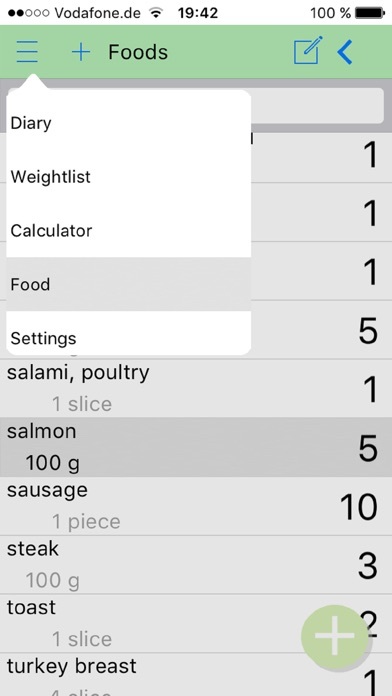 It can be selected from the food list when it is repeatedly used. Changing and deleting food is possible. 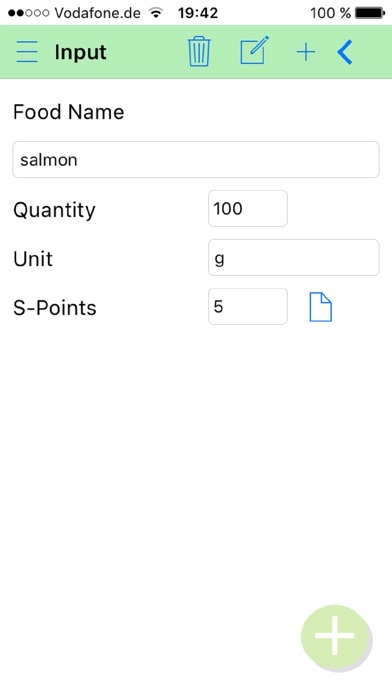 The point calculator can be used to calculate the number of points of a food. Activities list: Activities can be selected from the list and added to the diary easily, easily or moderately. The additional points are used as required. Weight: All entered weights are stored in a list and displayed for a curve in the last few weeks. It is possible to set a weighing day at which you would like to have a memory for weighing. Points Calculator: The point calculator calculates the current smart points from calories, saturated fat, sugar and protein. Days: Calculates the permitted daily points based on the entered user data and changes the calculation depending on the current weight. 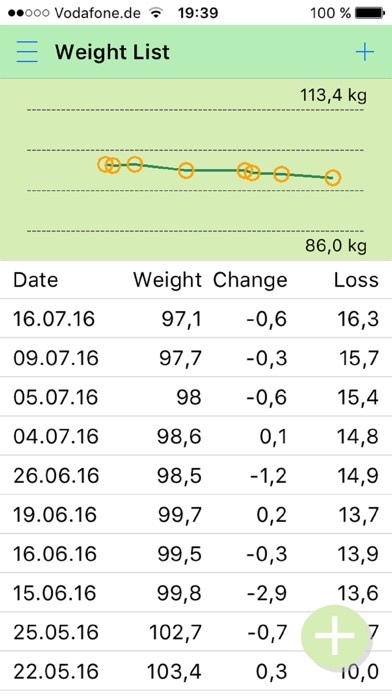 Experience report: After I had registered with Weight Watchers at the beginning of 2016 with the aim of losing weight, I also used the Weight Watchers app to keep my diary and to document my weight in the weight table. With the app I had some difficulties and after an update were many functions to which I had become accustomed at once different. After some time I had the food I eat, which set with the ActivePoints and with not more pleased that I still have weekends. Furthermore, I have asked myself whether it is worth each month the Weight Watchers contribution to pay to use the app. The result is the SmartWatchers diary. It can do everything I need as a support to take my plan even further. This app has only to be paid once and not every month again and none gets my data that I have stored. Because I think others are thinking like this and have similar requirements as me, this app is now available in the App Store.